So you’ve entered and you have the car and everyone in your family is bored with you going on and on about the forthcoming Scumrun! What on earth can you talk to them about now? Camping obviously!! 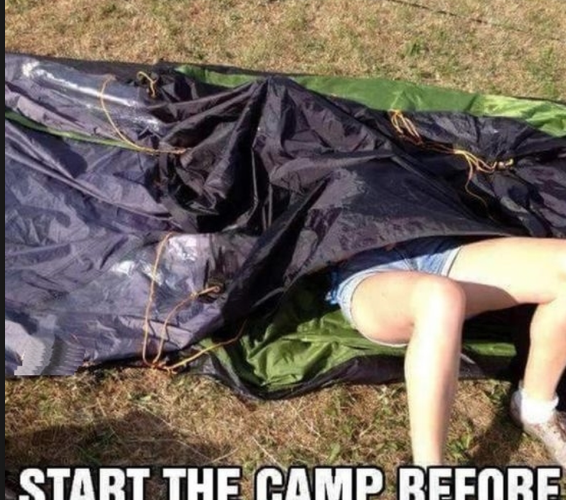 The camping element of Scumrun is not how you may recall your experiences with the Scouts. We don’t all sit around a campfire eating something that looks like stew singing songs. Camping Scumrun style normally involves the following and we feel it’s our duty to highlight this ahead of the run in May. Arrival at the campsite is straight forward, you follow the directions you pull up at the gate and present your evidence from having completed the Checkpoint. At this point (and just because we are Scumrun) we will administer a rather nasty alcoholic shot of something no respectful company would label or sell. You’re requested to drink this straight away, this means ‘Dave’ in the back will almost certainly start to make excuses about how he is still feeling rough from the night before. At this point (important part) you will realise exactly how the evening is going to go. Think of Scumrun as a very level rough sea there are no waves and somehow it just remains level. Just because you went large the night before is no excuse to go mouse like the next night! A constant input is required as you can rest when you get home. If Dave is still refusing to drink his shot normally at this point another member of the team steps up and shows him how to do it. We suggest however opening the back door and leaving said team mate on the side of the road as there is no room for him at Scumrun. So by now the shot of whatever is hitting the spot and you don’t really care about showing the team your photograph from the checkpoint as all you want to do is turn into the 17yr old version you become after a couple of beers. Its widely known that the Scumrun checkin teams often receive one word answers from teams as they arrive to the campsite and some are even unable to answer at all. But we can’t stress enough that we need to see that photo and ideally have it posted live on the FB page so we can judge it for prize giving. Shot consumed and you’re ready to go, you didn’t dare turn off the car whilst talking in fear it may not start and you start dreaming about all the parts that other teams may have to help your out with repairs on site. Forget it…..The Scumrunner tends to pack two main items, cable ties and gaffa tape…..there isn’t much that can’t be secured with these items and with them you will certainly get home. Directed to your camping spot you pass other teams who have arrived ahead of you when at which point you think they are driving some kind of time machine as you’ve not stopped, used an empty coke bottle as a make shift toilet and had food from various outlets served from hatches with teenagers wearing head microphones. How could it be, what engine is in that? Here’s the truth…….they just most likely spent a couple of minutes before leaving that morning planning their route rather than trusting in TomTom the whole day. The teams who plan ahead are always the ones who arrive early. Car parked and finally switched off you can hear the sigh of relief from the engine as it tries to rest. You stretch those legs and open the boot and bring out that ‘top of the range’ tent you purchased from halfords the night before. To be clear here Halfords are a car parts company and stock bottom of the range tents which may make one camping trip if you’re lucky. Tent bag emptied and then you’re off……………but yup you guessed it no-one bothered to see how the thing is put up and whilst you look around at others who have purchased the all singing all dancing pop up versions with built in microwave and sun loungers it starts to get dark and panic sets in. By this time your team mates are on their fifth can of foreign lager from a can so large it could be a vending machine and are little help to you. Trying to recall episodes of Bear Grylls and franticly searching youtube you eventually have something that looks like a tent. 1 – Shower straight away as once the sun goes down there is nothing worse than trying to get warm in a half installed tent. 2 – Loo Paper became a rare commodity the moment you arrived in France and should be guarded at all times. Europeans don’t like to provide this free of charge so you should have a plentiful supply with you at all times. Additional fundraising can be made easily by setting up your sale counter in the loo block offering the finest Andrex at highly inflated prices, people will pay whatever you want at this point as for the average customer there’s no going back once they’ve reached the toilet block. 3 – Shower Gel, just because there appears to be some in the shower don’t think for a minute that its be left out of the kindness of someones heart. You have two choices, if it is a decent brand then fill your boots and wash away however if its budget Asda or Tesco non branded stuff its best to walk away as it could be anything. 4 – Showered all done you now dress yourself. Remember you’re camping now not visiting the Big Market in Newcastle so warm clothes will be needed if temperatures dictate. You have absolutely no idea where you will end up later this evening so dress as if you were taking part in a Duke of Edinburgh hike just incase. 5 – Returning to your car you will find that your team mates who have showered before you have all of a sudden got their thirst on and consumed all alcohol purchased earlier that day meaning you have none…….. It is every man for himself and if possible take a small quantity of alcohol with you to the shower to safeguard you being able to also enjoy a drink when you return. Food all carefully packed for the trip now resembles something a wild dog has been searching as its scattered around the car and anything labelled ‘ready to eat’ has been consumed. 6 – Now depending on the type of evening Scumrun has planned we will either be staying on the campsite or visiting a nearby city by private coach. If we elect to stay at the campsite there’s only one way to explain how to enjoy yourself and that is get it out of your mind that teams are going to come and visit you at your camp area. If you sit in a circle thinking ‘ we are the coolest team here and look at us’ the average Scumrunner will give you a wide berth as you just look like a bunch of boring Scouts. However …….if you take your alcohol with you and start to walk around meeting new people and talking about their day you will soon form a bigger group. Forming the bigger group attracts even more people as Scumrunners are curious creatures and want to know whats going on at all times so they will be attracted to the crowd. Before long the party is going the music is on and alcohol is flowing but the temperature is getting lower so everyone decides to go and ask the Scumrun team what the plan is but where are they? They are sat in the heated bar having some hot food having a party with the other Scumrunners who paid attention when they arrived at the campsite checkin! And that is the point………..we can tell you everything you need to know when you arrive but if you don’t pay attention or elect not to follow our advice then memories of family camping trips will present themselves as you make small talk with the same guys you’ve spent five hours in a car with all day. 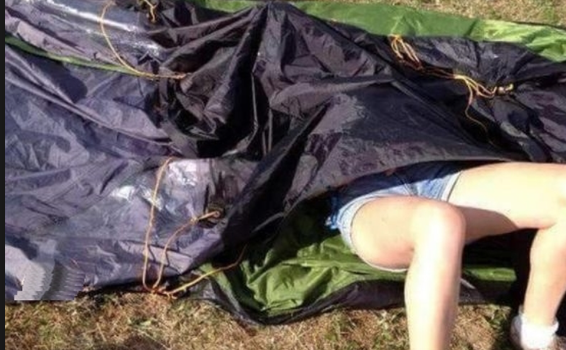 The more time you have to party the better so forget Halfords and opt for a Pop-Up tent, 2.5 seconds and boom you’re done ready to go. You can take this even further by purchasing such items as ‘man-bags’ which is a adult baby grow sleeping bag and means you in theory don’t need a tent as wherever you fall that night you know for sure you will wake up warm. You can of course cook if you wish but word of caution here, if you haven’t been camping before or still live at home at the very least you want to have some kitchen roll and washing up liquid. There is nothing more off putting than a frying pan covered in fat thrown in the car amongst your clothes simply because Dave didn’t know how to wash up. A helpful tip here is for the last man to shower to take this to the shower block and wash this whilst showering – shower gel will do just as good a job as fairy and still makes your hands nice and soft. If you’re from the ‘can’t cook won’t cook’ category then we always make sure food is available to purchase either on the campsite or nearby so you will survive.